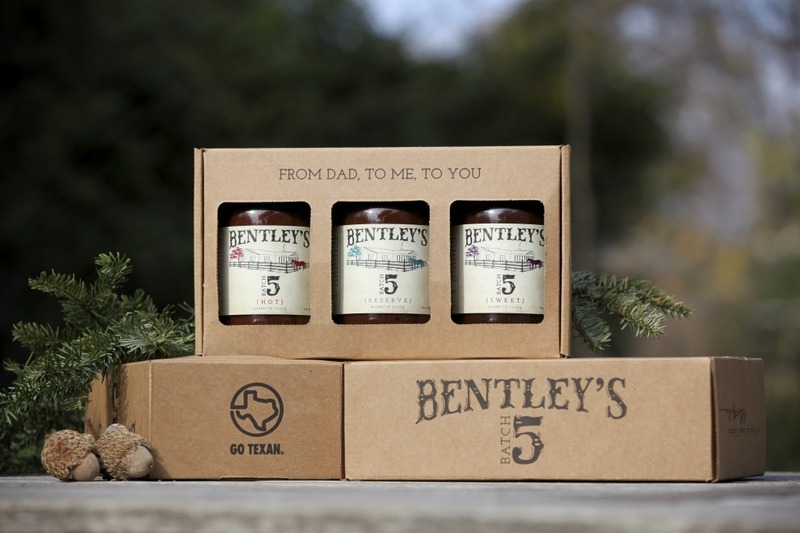 Our gift box has three of our Bentley’s Batch 5 Barbecue Sauces. This is the perfect gift for any cook or pitmaster. The gift box allows your friends and family members to try our Reserve Barbecue Sauce that my Dad taught me how to make over 40 years ago, as well as my Dad’s Hot Barbecue Sauce and his Sweet Barbecue Sauce. These are the same as our Reserve except my Dad added a little Hot or a little Sweetness to give them that perfect blend that enriches the bold zesty flavor of my Dad’s original sauce. This 60 year old family tradition is not a normal tomato based barbecue sauce; instead our sauces are Worcestershire based with bold zesty flavors that are tangy and rich. They’re also unique because all three are full of bits of tomato, onions and peppers that heighten their flavor and texture. Any of our three barbecue sauces can be used as a cooking, finishing or dipping sauce or just slather them over your cooked meat or seafood dishes, and they go great on grilled or baked vegetables. And when you cook your meats or seafood to perfection, our barbecue sauces will enhance their flavors; but on those occasions when they’re not perfect, any of our barbecue sauces will make your meal great. After you’ve spent all day cooking, you deserve a special barbecue sauce. You deserve Bentley’s Batch 5 Barbecue Sauce.